Today I made some Montasio Cheese, but broke all the rules. Traditionally it is made from cow milk (Rule 1 – I used goat milk). Also the milk is normally collected from two milkings, i.e. morning and evening (Rule 2 – I got milk from my goat farm from a single milking). In Gorizia a region of Friuli Venezia Giulia in Italy milk is collected from three different bovine races i.e. Friesian, Swiss Brown and Pezzata Rossa (Rule 3 – Unfortunately I could get only Saanen goat milk). So I am sure I would not get a DOP trademark certification for my cheese, but still am of the opinion that it would not be too bad. Montasio is a “cooked” cow milk cheese so we need to process it at 41 degrees C. This is why we use two different starter cultures – Mesophillic as well as Thermophillic starter. Heat the curds to 39 C, raising the temperature with maximum 1 C every five minutes, then hold at 39 C for 60 minutes. During this process stir the curd gently all the time to prevent it from matting. Drain the curds and place in a cheesecloth lined mold immediately. 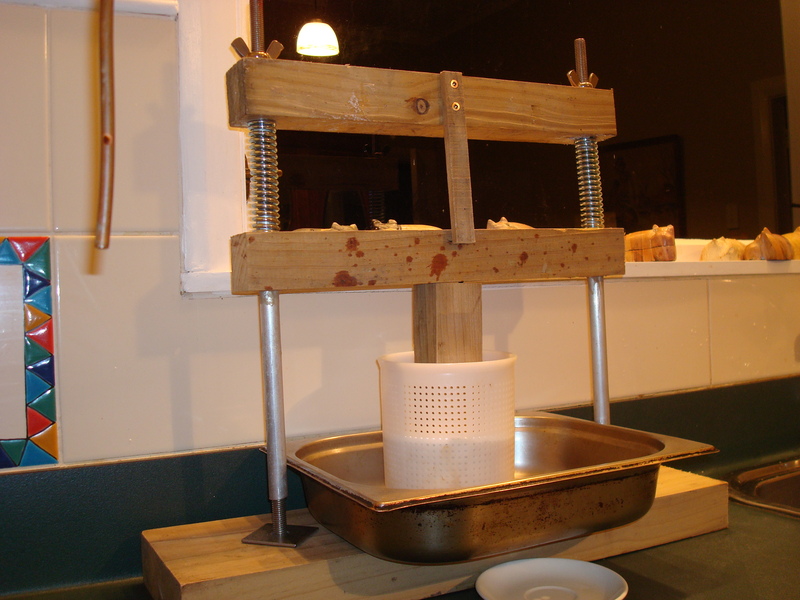 Press at 2 Kg for 15 minutes – remove the cheese and peel away the cheesecloth – Turn over the cheese and dress with cheesecloth and press at 2 Kg for 30 minutes. Remove the cheese and peel away the cheesecloth – Turn over the cheese and dress with cheesecloth and press at 5 Kg for 12 hours. Remove the cheese and peel away the cheesecloth – Turn over the cheese and dress with cheesecloth and press at 5 Kg for 12 hours. 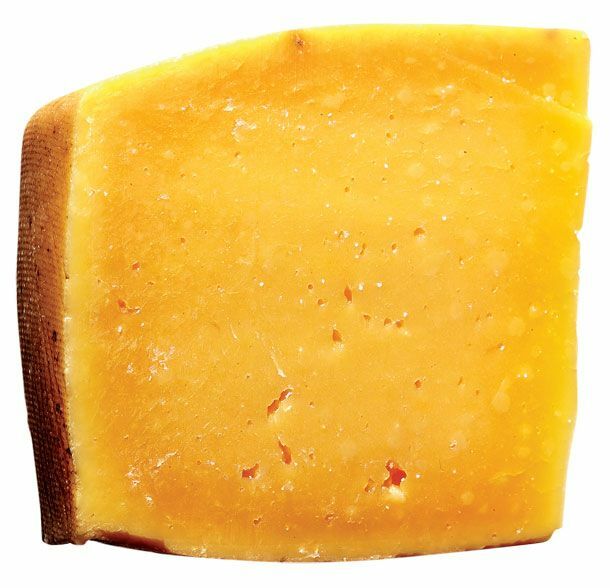 Store cheese at 12 – 15 C until ready to use. Turn over cheese oat least once every week. I hate both Marmite and Vegemite – but then I do not consider myself Kiwi nor Aussie, which probably explains it a bit. Thanks for your kind words. I have also made real Ricotta – not from milk, but with whey left over after the Montasio. Will blog tonight. Ricotta is easy to make and so delicious, provided you have fresh whey. Give it another go. Have a nice day!